If you haven’t seen Thor: Ragnarok, stop reading now since there are major spoilers ahead. Thor: Ragnarok is a movie that’s fun from start to finish, going unexpected places and making surprising gags throughout. Perhaps the most surprising joke involves a scene where Thor (Chris Hemsworth) returns to Asgard to see a play reenacting Loki’s “death” scene from Thor: The Dark World. However, in the scene, Thor is being played by Luke Hemsworth, Odin is being played by Sam Neill, and Loki is being played by none other than Matt Damon. It’s an incredibly fun cameo and one that could only work in a film as delightfully madcap as Taika Waititi’s sequel. 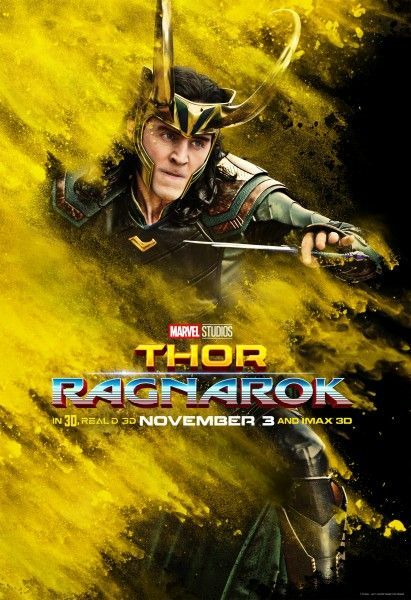 I would absolutely watch those movies where a struggling Asgardian actor keeps playing characters from the MCU in order to get what work he can. At the very least, it would be good fodder for some more Marvel One-Shots (and if Damon can be part of Jimmy Kimmel’s longest running gag, maybe some superhero short films aren’t out of the question).